A little delayed with my latest Food of the Week post, but don’t worry, it was worth the wait! Take a trip to the tropics and spice up your fruit salads with some ravishingly refreshing pineapple! Here’s a little fact that I bet you didn’t know: pineapple is actually the symbol of hospitality 🍍. 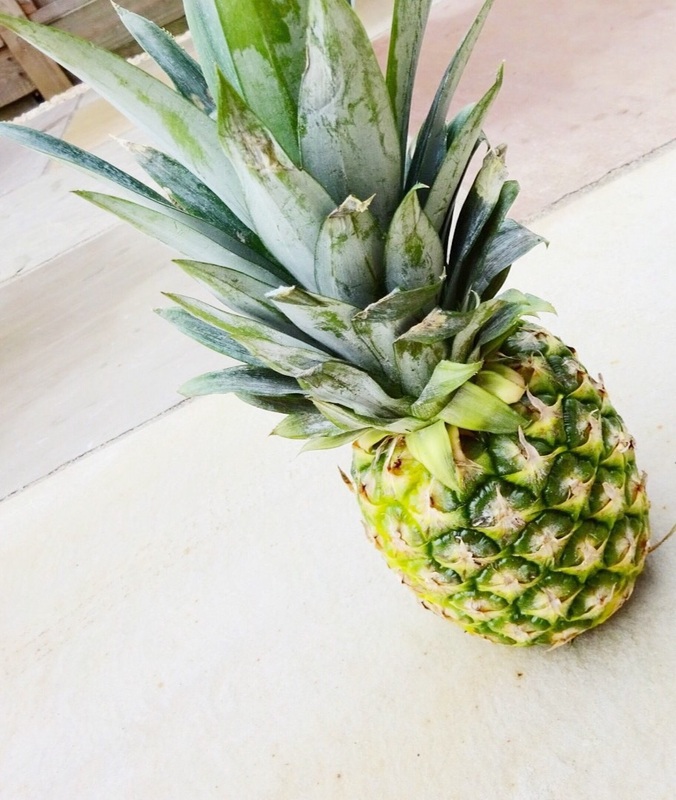 Pineapple is another one of those fruits that just sums up summer, but as well as taking the heat out of your day, pineapple is bursting with other benefits that I just can’t wait to share with you! They can do wonders for your skin, hair and nails. Fed up of taking all of those multivitamins? Pineapple is full of antioxidants and vitamin C, meaning that stocking up on the stuff could help to cure the common cold too – added bonus! They’re great for digestion, especially in aiding those more protein based foods such as meat and fish because of its digestive enzyme bromelain. Pineapple has a large manganese content, making it a great energy source which contributes to helping with stress reduction. So you get to eat something delicious to help make you less stressed! Other benefits of pineapple include cancer protection, inflammation reduction and increased antioxidants for the body. You can use them in so many recipes! They taste delicious in fruit bowls, fresh smoothies and juices, and are also great to add into salads. I’m a fan of cooking them too, adding onto meats and roasting them to absorb the pineapple goodness and add extra flavour. And of course, they look fabulous and taste even better!